The final nail in the Google+ coffin? A new report suggests that search giant Google is in talks to buy social networking platform Twitter. According to sources speaking to CNBC, the "social media company is engaged in conversations with potential suitors that are said to include Google and Salesforce.com, among other technology companies". While we're all familiar with Google through its search engine and Android operating system, Salesforce may not be as well known to consumers. But it is a giant back-end tech company, with huge cloud computing reach for businesses and customer services platforms. From a consumer standpoint however, Google's potential as a buyer is the most intriguing of the two rumored parties. It's struggled over the years to have a strong social media proposition, with Buzz canned and Google+ never hitting the heights of its competitors. 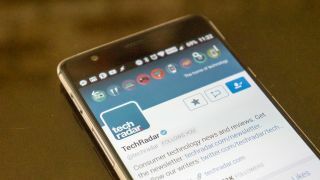 Twitter on the other hand does have a large userbase, but has seemed relatively directionless in its platform updates of late, and has consistently struggled to monetise. There's win-win potential for both parties here, should a partnership occur. We've reached out for comment from Twitter regarding the rumor and will update this piece once we hear back from the company.